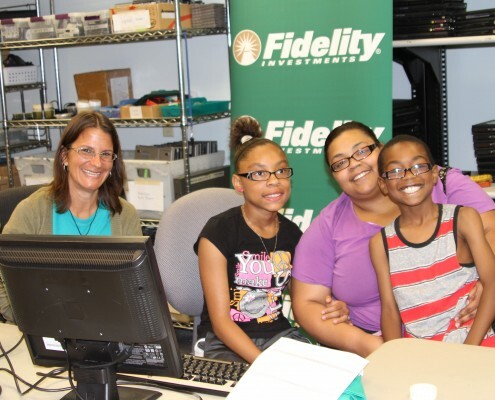 Kramden could not accomplish its mission of providing technology tools and training to bridge the digital divide without the support of volunteers, donors and corporate sponsors.Our corporate sponsors generously provide funding, technology and the most valuable resource of all: their employees. 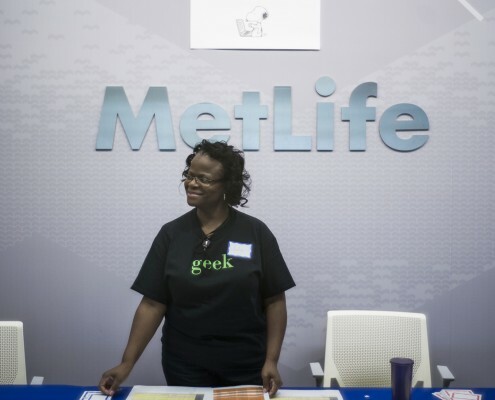 Employee volunteers are our strongest champions in the community and without their time, expertise and passion, we would not have be able to positively impact so many lives in North Carolina. Kramden is proud to call Lenovo, a global leader in the PC market with 2,200+ employees in the RTP region, our founding sponsor. Lenovo not only pledged financial support during our initial seed period from September 2005 through June 2006, but extended this with bridge financing in October 2006 to April 2007. 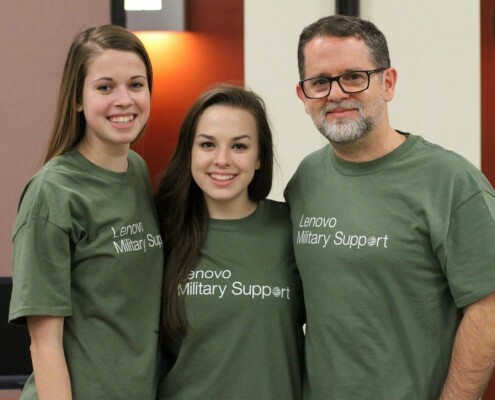 Lenovo has continued to generously donate technical support, equipment and volunteer time ever since, partnering with Kramden to award thousands of refurbished computers to children of servicemen and women around the state. 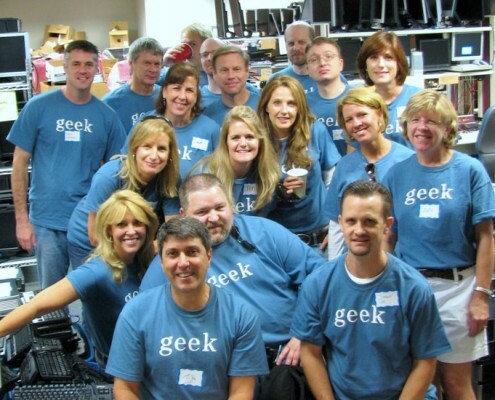 From Geek-A-Thons® to Corporate Work Days, thousands of volunteers from local organizations have volunteered with Kramden. Kramden is best known for our Geek-A-Thons® (GAT). This three-day event results in the production of approximately 200 or more refurbished computers. 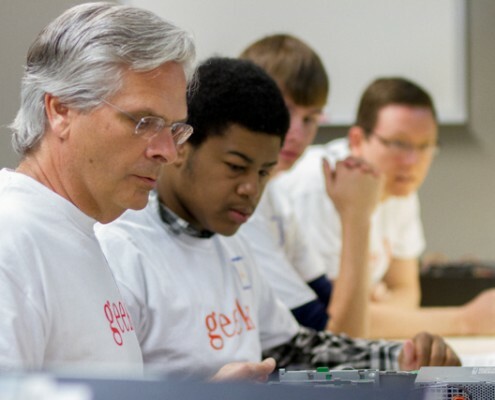 GATs are often paired with Award Days, which put approximately 40-60 computers in the hands of worthy students and offer a unique opportunity for recipients to meet and work with volunteers. GATs can be held offsite (or at Kramden) and can accommodate up to 200 volunteers in 5 shifts. Sponsors receive recognition in all event publicity, including on t-shirts, press releases, and at the event itself. The cost for sponsoring a GAT is $15,000. Media coverage of past Geek-A-Thons®. Anywhere from 150-200 volunteers working in 5 shifts spread over 2 1/2 days, refurbishing and awarding computers. Volunteers will be able to dive right in and refurbish computers, with the help of senior volunteers and staff. The 4-step process includes: Triage, Cleaning, OS Load and Final Test & Inspection. 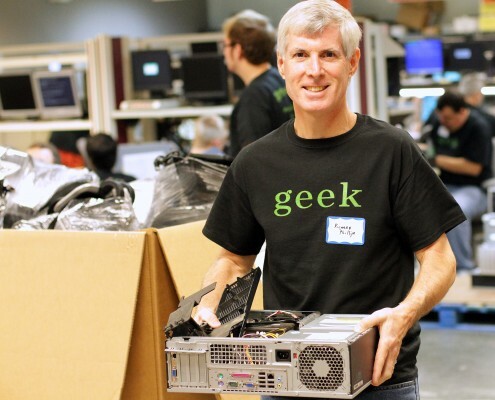 On the 3rd day of the Geek-A-Thon, volunteers will be able to award the computers they have refurbished to 40-60 local-area students in need. A single day version of our signature Geek-A-Thon event. 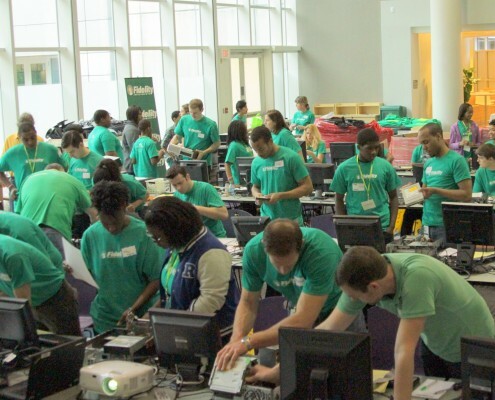 During this one day event, Kramden will recreate our warehouse offsite, allowing volunteers from the sponsoring organization to refurbish approximately 100 computers. These 1-day GATs are held offsite and can accommodate up to 100 volunteers in 2 shifts. Sponsors are advertised on t-shirts as well as in publicity for the event. The cost of sponsorship is $7,500. Anywhere from 50-100 volunteers working in 2 shifts from 9:00 am – 1:00 pm and from 1:00 pm – 5:00 pm. Volunteers will help with all parts of the computer refurbishing process under the supervision of Kramden staff and Super Geeks. The convenience of our warehouse coming to you. We bring the equipment, staff and know-how to ensure that your team can immediately start refurbishing computers at your site. 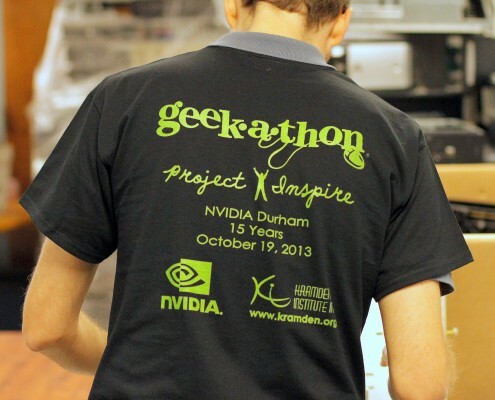 On the third Saturday of every month, Kramden hosts a Mini Geek-A-Thon® (MGAT). Over the course of two shifts (9:00 AM until 5:00 PM), volunteers not only refurbish computers in our warehouse, but conduct computer awards as well. Approximately 70-80 students come to Kramden’s Lenovo Learning Lab to receive their newly refurbished computers. Kramden can accommodate approximately 100 volunteers and these events tend to attract many of our seasoned volunteers who help create an environment of mentorship for less-experienced volunteers. Sponsors are advertised on t-shirts as well as in publicity for the event. The cost for sponsorship is $5,000. 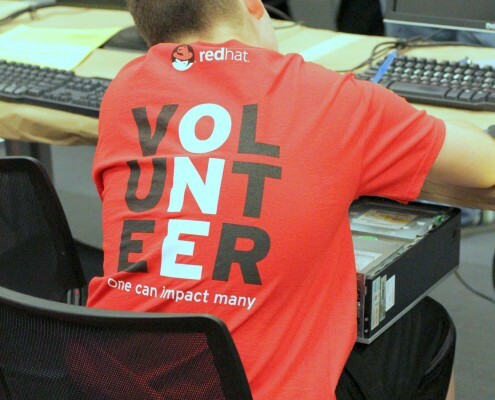 Anywhere from 50-100 volunteers working in 2 shifts from 9:00 am – 1:00 pm and from 1:00 pm – 5:00 pm, both refurbishing and awarding computers. Volunteers will be able to demonstrate and award computers to student recipients during the MGAT. Anywhere from 50-100 volunteers working in 2 shifts from 9:00 am – 1:00 pm and from 1:00 pm – 5:00 pm, refurbishing computers. Volunteers will perform all 4 steps of our refurbishing process from Triage to Final Test & Inspection. Experienced volunteers and staff will be on hand to guide your team through our process. Volunteers can take out their anger issues on tearing down and recycling old, broken computers that we can’t use in our programs. Your volunteers will love it and it’s good for the environment! Who says volunteering can’t be both rewarding and fun? T-Shirts with your logo and colors + pizza + your favorite Pandora station = FUN. Interested in sponsoring an activity at Kramden?